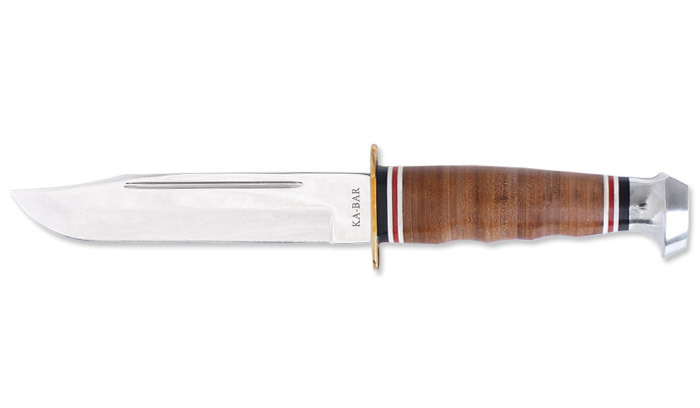 Clasically styled leather-handled hunting knives have been popular since the early 1900s. Dressy enough for gift giving and practical for field use. Brown leather KA-BAR sheath included.